Unlike regular bolt-on PV panels, Monier SOLARtiles can be laid in any configuration to blend seamlessly into your homes roofline. Being a tile based modular system, it is able to capitalise on smaller sections of your roof to optimize the energy production. Unlike traditional bolt-on systems, the impact on the natural wind flow around the roof is minimized hence wind pressures and debris build-up around the system is reduced. Also, there is no need to cut, grind or drill through your existing roof during installation. 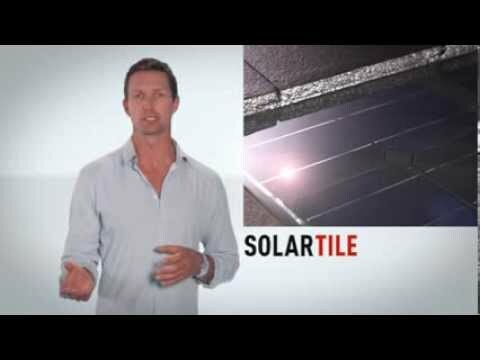 Monier has the knowledge to professionally install your SOLARtiles from delivery to final connection. We can even manage the STC rebate, so you can get on with more important things. A Solar battery lets you maximise the benefit of your SOLARtile installation by capturing excess power and using this power to run your home when the sun goes down. Adding a battery to a SOLARtile system gives you greater independence by making you less reliant on the grid.